Buff and Shine 5" Uro-Fiber Microfiber Pad Bulk 12 Pack is a fantastic money saving way to pick up one dozen pads so you always have plenty of fresh pads on hand. Buff and Shine 5" Uro-Fiber Microfiber Pad have been engineered from a 25% lower pile dual fiber microfiber blend to maximize consistent results. This dual blend microfiber allows removal of light to moderate scratches, swirls and follow up with final finish polishing with just one pad type. 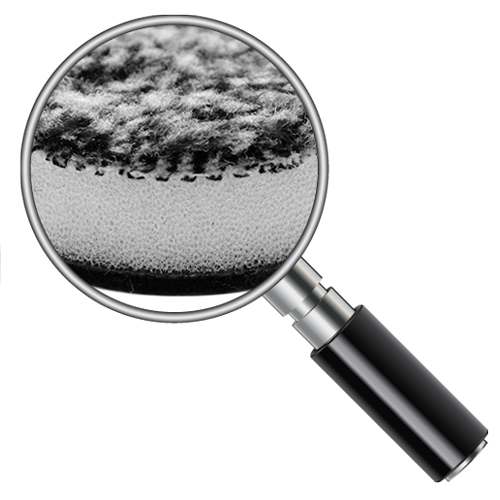 Please keep in mind that a clean Buff and Shine Uro-Fiber Microfiber Pad will be needed for each type of polish or compound used. The dual fibers are two different microfiber grades that have been stitched into the pad backing performance and durability. 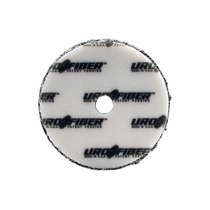 The Buff and Shine 5" Uro-Fiber Microfiber Pad has been constructed with the highest rated heat and chemical resistant adhesives to keep the pad secure, even under the most challenging polishing tasks. 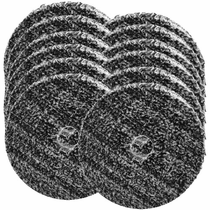 Cleaning During Polishing: Clean your Buff and Shine Uro-Fiber Microfiber Pads with a soft bristle microfiber pad cleaning brush (not a normal pad cleaning brush) or compressed air at least once per panel or as often necessary. On large panels such as the hood you will need to clean the pad several times. If your pad slows down in performance, starts to splatter chemicals or loads up be sure to switch to a fresh Buff and Shine Uro-Fiber Microfiber Pad for optimum performance. After Polishing: Wash your Buff and Shine 5" Uro-Fiber Microfiber Pads by hand with mild soap and warm water and rinse thoroughly. Press out excess water with a towel, then allow to air dry on a flat surface until dry, usually overnight. NOTE: Do not ever use fabric softener. 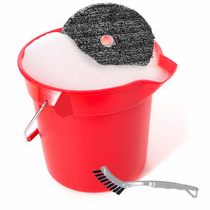 Washing machines, dryers and pressure washers are not recommended as it will shorten the life of your pads.